Uganda will be hoping for improved fortunes in the 2018 season after a fairly miserable 2017 campaign. After a disappointing World Cricket League tournament, they finished a poor fifth which saw them suffer the ignominy of relegation from Division Three. Coach Steve Tikolo and his charges will have the opportunity of instant redemption though as they are scheduled to participate in Division Four in spring. The competition is slated for Malaysia in late April, when Uganda will do battle with Jersey, Denmark, Bermuda, Vanuatu, and the hosts for the two promotion berths. 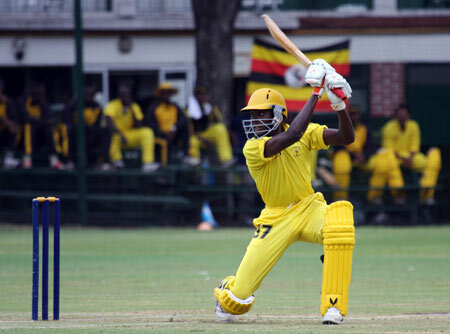 Uganda will take great comfort from the location which carries happy memories for the Africans after they gained promotion to Division Two there back in 2014, when a Roger Mukasa (pictured) inspired team helped them into second place behind Nepal. The Malaysian tournament will serve as ideal preparation for Uganda who then face a tough ask in the East African T20 World Cup Qualifiers. The competition sees Rwanda hosting at the inspirational new ground and pavilion at the Gahanga Cricket Club. Tikolo's native Kenya and Tanzania are the other countries vying to qualify for the main African qualifiers later in the year.